After the 1995 release of the movie, “The Bridges of Madison County,” Winterset, IA, achieved international notoriety as the home of the covered Bridges of Madison County. 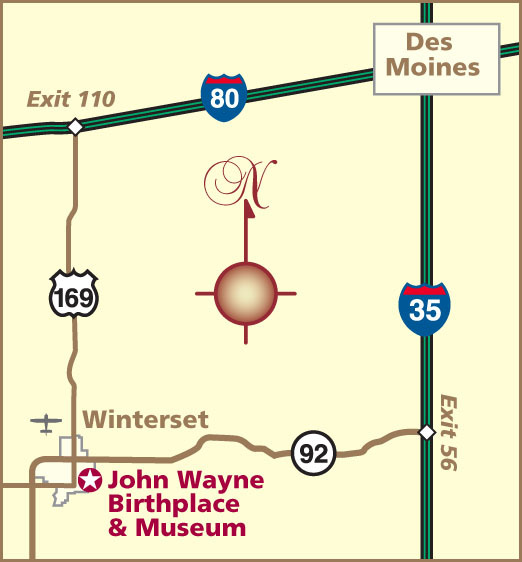 Winterset is also the birthplace of Marion [Robert] Morrison–better known as John Wayne, “The Duke!” Guest host Greg Thunder hits the road to show us Wayne’s birthplace home and a museum of this international film and television icon. Thunder visits museum Director Brian Downes, former writer for the Chicago Tribune, who once interviewed “The Duke” in 1977.